I didn’t really know what I was going to do for a photo today. Some days it’s easy to come up with an idea and others it can really be a struggle. I decided to take a photo of this A/V cable for a number of reasons. 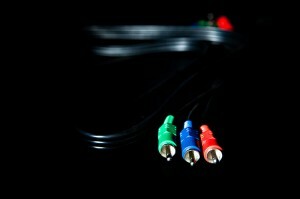 First, it’s a cable with colorful connectors and second its purpose is to connect two things together be it a TV and DVD player or Nintendo Wii. Stay with me here because I’m going to tie it all together in a few paragraphs. Tonight I had an awesome Skype conversation with Sean Ogle from Location180. I just met Sean but I can say I was drawn to him because he is living his life on his own terms. He made a decision on what he wanted to do with his life and he applied action to it despite reservations and fears. He’s living his life from the beautiful Thailand. It’s refreshing to talk with people who know what they want and pursue it with all they have and Sean is no exception. So how does this photo of a cable tie in here. We all need connections in life. We all need to be plugged in. It’s the connections we make in life that make it interesting and fulfilling. When the cables for your TV get unplugged the picture disappears. It’s the same in life. When we get unplugged from the people around us we lose sight of the big picture. If you have goals and dreams in life get plugged in and connected with people who have the same goals and dreams. You’ll be amazed at how great the conversations will be and how much you can help each other. With healthy connections your picture of life will be clear and in focus. Previous post: Are You Possessed by Possessions?